Exclusive: German poet Gunter Grass is under withering attack for writing a poem that urges Germany to stop supplying nuclear submarines to Israel, objects to Israel’s threat of war against Iran and suggests both countries accept nuclear inspectors. That last idea has opened Grass to charges of “moral equivalence,” notes Robert Parry. I first encountered concerns about my tendency toward “moral equivalence” in the early 1980s when as an Associated Press reporter I interviewed Elliott Abrams, then an up-and-coming neoconservative appointed by Ronald Reagan to be the assistant secretary of state for human rights. Abrams looked at me askance and cautioned that I was edging close to the error of “moral equivalence” that is applying a common human rights standard to pro-U.S. and anti-U.S. countries. Abrams explained that the actions of “totalitarian” states like Sandinista-ruled Nicaragua and “authoritarian” regimes like El Salvador should not be viewed on the same plane. Under this so-called Kirkpatrick Doctrine, Abrams saw the Sandinistas, who were restricting La Prensa which they correctly suspected of aiding a U.S. “destabilization” campaign as far worse human rights violators than El Salvador’s military rulers, though the bodies were piling up in El Salvador, not Nicaragua. But the problem for me as a journalist, committed to the principle of objectivity (or evenhandedness), was that I wouldn’t apply an obvious double standard playing up non-violent political violations in states opposed by the U.S. government while downplaying brutal human rights crimes in “allied” countries. Those memories about my alleged “moral equivalence” flooded back to me this week when I read the press coverage of a nasty dispute in which Israeli leaders launched an all-out P.R. assault against 84-year-old German poet Gunter Grass for writing a brief poem, “What Must Be Said,” criticizing Israeli war threats against Iran. Israeli Prime Minister Benjamin Netanyahu denounced the writer’s “shameful moral equivalence between Israel and Iran, a regime that denies the Holocaust and threatens to annihilate Israel.” Netanyahu’s “moral equivalence” theme was echoed in the news columns of the New York Times, which accused Grass of “placing Israel and Iran on the same moral plane,” and by German officials. But what exactly had Grass said in that regard? I went looking for an English translation of the actual poem (since German had been my worst class in college). I found an unofficial translation from the Associated Press which is reprinted below. I was struck by how tendentious the attacks had been on Grass’s supposed moral equivalence toward Israel and Iran. That portion of the poem simply says both Iran and Israel should admit international inspectors to examine their nuclear programs. The issue of Israel’s undeclared nuclear arsenal has been a sensitive almost unmentionable topic in the U.S. press as Israel ratchets up war threats against Iran for allegedly harboring ambitions to build a nuclear bomb (although its leaders have disavowed such an interest and have let in international inspectors to check). Millions of Americans, when facing depression or even just anxiety, turn to powerful psychiatric drugs marketed by pharmaceutical giants, whose ads gloss over the risks in fast-talking fine print. 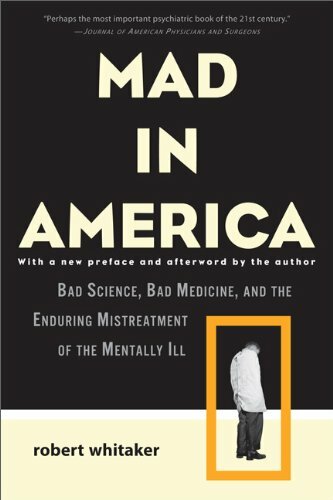 A counter-movement warning of the dangers from an over-prescribed society is emerging, as Gary G. Kohls describes. For example, Depakote, a popular drug approved initially only as an anti-epilepsy drug is now being heavily promoted as a so-called “mood stabilizer.” Depakote, known to be a hepatotoxin and renal toxin (potentially poisonous to liver and kidney), was originally developed as an industrial solvent capable of dissolving fat – including, presumably, the fatty tissue in human livers and brains. 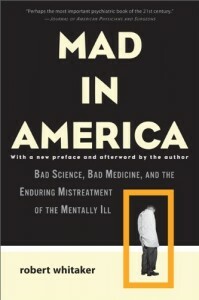 TBI or chemical lobotomy can be a useful way to conceptualize this serious issue of drug-induced toxicity, because such neurologically brain-altered patients can be indistinguishable from those who have suffered physically traumatic brain injuries or been subjected to ice-pick lobotomies which were popular before psych drugs came on the market in the 1950s and before the huge epidemic of mental illness that America is experiencing.